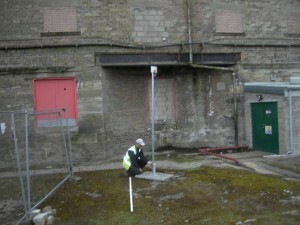 More and more construction and house building companies around the UK are deploying the MeerCam RSI Videofied low cost security construction monitoring solution to not only improve and modernise their current construction or house building site security but more importantly to slash current construction/house building security costs in some cases by up to 60% per construction site. RESULTS – Over a three month period – October 2010 – December 2010 – Three attempted break ins were detected by the Camvista MeerCam security monitoring cameras – Monitoring centre instantly notified police that people were on the construction that shouldn’t be. A total of 9 people were arrested on the construction site by the police during the three attempted break ins. All 9 criminals were charged. No damage or thefts occurred on this construction site because of the Camvista MeerCam construction monitoring cameras detected all intrusions and the Monitoring station were able to verify to the local police that a Crime was in Progress and it wasn’t a false alarm. One of Australia’s leading contruction companies that specialise in building commercial and industrial construction projects to health and education clients all over Australia have been having security problems with one of their current 21 construction sites in the the Fairview area of Sydney in New South Wales. Throughout their Fairview construction development their Sydney construction site had been attracting many unwanted intruders during out of working hours who were visiting their construction site to steal copper and other high valued metals on their construction site. After a chance meeting at the IFSEC Security Exhibition in Birmingham England one of the Directors of the major Australian Construction Group met up with representatives of Camvista Global Ltd to discuss Camvista’s new construction security camera monitoring solutions that could be rapidly deployed onto their troubled construction site in the Sydney area of New South Wales to quickly improve their current construction on-site security to stop unwanted intruders stealing copper and other metals from their construction site. 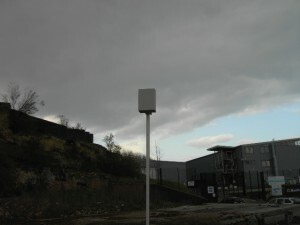 In May 2010 Camvista teamed up with leading Australian Security company – iPatrol to install 10 outdoor battery powered MeerCam RSI Videofied GPRS wireless PIR surveillance monitoring security cameras at the Australian’s Fairview construction site on the outskirts in Sydney N.S.W – Australia. Installation of the 10 RSI Videofied MeerCam battery powered GPRS security monitoring cameras took less than 4 hours to install, because no power or cabling was required during the installation and immediately upgraded the level of security monitoring on the Sydney located construction site. 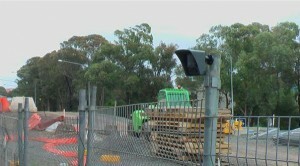 The MeerCam Videofied RSI rapid deployable construction monitoring surveillance solution also reduced the costs of construction manned guarding by more than 150% and traditional construction CCTV security cameras by more than 65% for the Australian construction company that were not proving a successful construction security solution on this Fairview construction site. 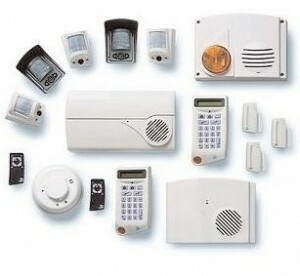 iPatrol who specialise in operating the RSI Videofied security monitoring camera systems around Australia for business and home security clients also have a wealth of experience in remote monitoring the battery powered construction security cameras at their A1 Graded Alarm Monitoring Station. The first three guys are well known to police, and were taken away to be charged. I believe the driver was let go with a caution. Finally……..one for the good guys! 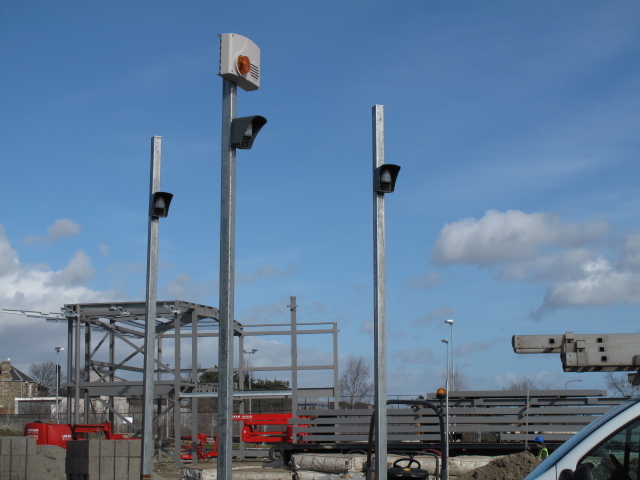 Since the success of this intruder incident on the 19th September 2010 another group of unwanted intruders were caught on the Fairview construction site last week by iPatrol monitoring the MeerCam RSI Videofied GPRS wireless surveillance camera systems. Stopping another theft on the Fairview construction site. Outcome – One of the leading Australian construction Group’s are now ordering more of Camvista’s MeerCam RSI Videofied battery powered security monitoring camera systems to protect some of their other 20 construction sites in other areas of Australia. Feedback from Sydney police after the success of the arrests of the intruders on the construction site – both groups of intruders caught and arrested on-site are wondering what sort of `space-age` security technology is being deployed on the Fairview construction site in Australia!!!! Scottish based Camvista are working with iPatrol in Australia, part of the the very well established Australian security monitoring company – SECUREcorp – in selling or renting out their MeerCam RSI Videofied battery powered GPRS wireless security camera monitoring systems to some of the largest Australian construction companies working on construction projects and property developments all around the major cities in Australia. 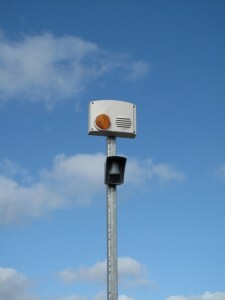 In order to assist the construction security camera monitoring request from the major Australian construction company to help improve their on-site security by deploying the Camvista MeerCam RSI Videofied battery powered camera systems onto their `at security risk` construction site in the outskirts of Sydney. Camvista contacted Australian based iPatrol who have a wealth of experience in deploying and security monitoring RSI Videofied battery powered GPRS wireless security camera systems for their business and home security clients all over Australia to assist Camvista with their Australian construction client’s security monitoring request. With an increase of industrial thefts being reported around the UK of copper, lead, metals, cables, wires at remote and unmanned locations, because of the now high value of such commodities in today’s current economical climate, construction companies, power and water utility companies, mobile phone companies and void property companies are now buying or renting the RSI Videofied self powered GPRS video alert camera systems to protect and safeguard their assets on their remote locations – stopping and deterring theft and vandalism at high risk remote locations. 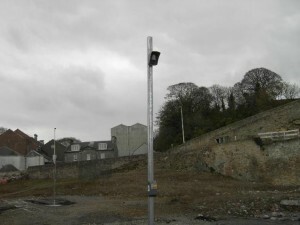 Working with a number of CCTV camera installation companies around the UK and Ireland, England, Scotland, Wales and Ireland, Camvista can rapid deploy RSI Videofied battery powered wireless GPRS cameras in a very short and fast timescale to help secure a construction site or a building or facility in a remote location that’s being targeted for crime or vandalism. Camvista RSI Videofied camera clients can have the option to purchase the RSI Videfied wireless battery powered video security camera systems or rent the RSI Videofied security package, which includes site surveys, installation, maintenance and camera monitoring by Alarm Monitoring Companies, for short term periods. When buying the low price RSI Videfied surveillance camera systems from Camvista we can arrange for the Videofied mobile GPRS CCTV camera equipment to be installed by professional CCTV security camera installers anywhere in the UK and Ireland. 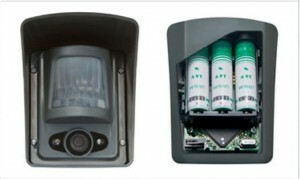 After the CCTV camera(s) installation, we can recommend a number of the UK’s leading Security Monitoring Companies that can monitor your RSI Videofied security camera systems. 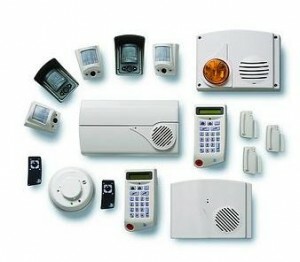 Monitoring camera costs are very similar to the low monthly costs for having a home security alarm system monitored. If you’re looking for low cost security camera solution, for a construction or house building site, void property or a very remote location which is unmanned – contact Camvista – HERE or telephone our Sales Line – 0845 241 6040 to find out our extremely competitive prices for our RSI Videofied self powered GPRS wireless security camera systems. 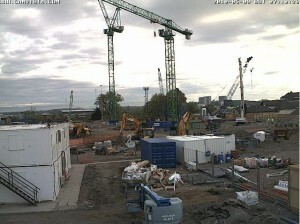 The Camvista construction monitoring webcam package includes installation of indoor or outdoor high definition construction cameras overlooking construction developments such as new supermarkets, sports centres, hospitals, schools and colleges – allowing construction management, developers, investors and in some cases the members of the general public to view the progress of the construction project via the live construction web camera on computers and mobile phone devices. Camvista clients have the option to rent, purchase or in some cases take advantage of Camvista’s construction webcam equipment `buy back` package. 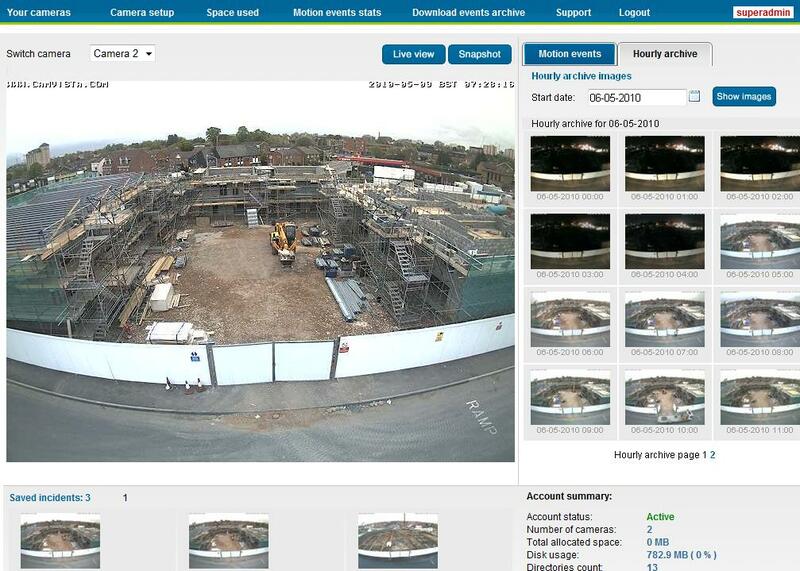 Once Camvista arrange the installation of the live construction cameras, anywhere in the UK and Europe, the images of the live construction monitoring cameras, streaming video, or images updating every few seconds, minutes or hourly, are hosted on Camvista’s secure servers to suite clients requirements. 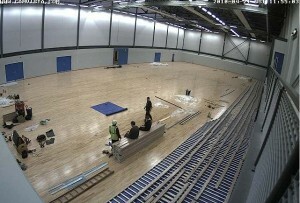 The team at Camvista then provide a fully managed construction web cam service for the entire length of the construction development project making sure that the construction webcams are always fully operating throughout the construction camera project and saving images for time lapse slide shows or time lapse movies, Clients can feature their live construction monitoring camera on their website(s) or intranet site(s), by adding a snippet of code provided by Camvista which will allow the construction webcamera to be viewed without any technical difficulties. 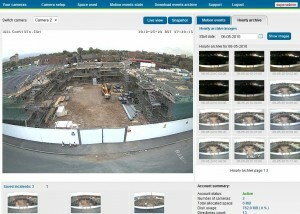 As well as having the free option to view their live construction camera on Camvista’s Remote Alert camera management web-interface from any computer, no matter where in the world or by web enable mobile phone devices, viewing a live high resolution webcam image as well as having remote access to viewing all archived construction webcam images throughout the project on the simple to operate construction camera management interface. 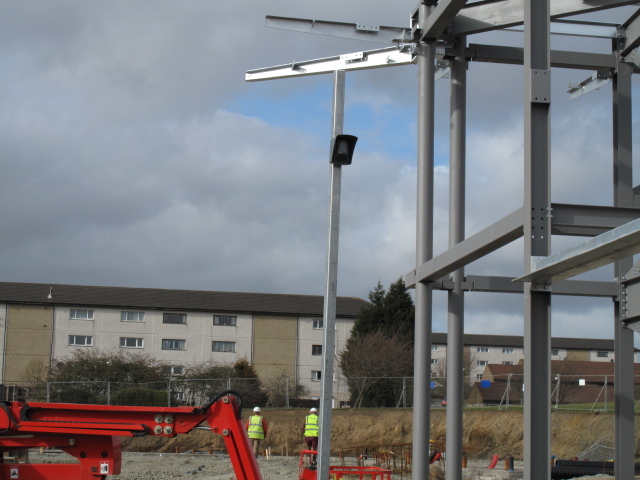 Many UK construction and house building companies are saving thousands of £££’s from their construction site security budget by renting or purchasing mobile GPRS wireless infrared CCTV video surveillance cameras from Camvista. Camvista have recently launched their new video surveillance camera construction site system – the `MeerCam self powered wireless infrared CCTV camera monitoring solution` – which is reducing standard static guarding prices and traditional CCTV construction site monitoring costs, on a building project and a construction site, by more than 50% per construction project – cost saving construction site security price reductions in this current downturn in the UK economy. 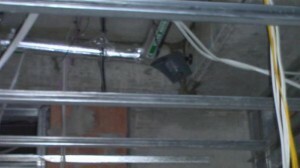 The innovative and very cost effective MeerCam video surveillance construction site monitoring system allows construction and house building companies to make large savings in their construction site security budget as well as improving and greatly enhancing their current construction on-site security levels. 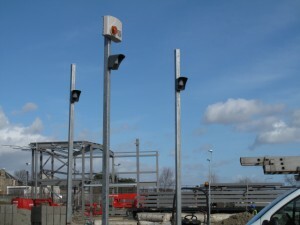 Add the fact that the MeerCam construction monitoring CCTV cameras are operated from a GPRS mobile phone network -a GPRS mobile phone signal normally readily available throughout the UK – NO telephone and broadband connections are required on a construction site deploying Camvista’s MeerCam video surveillance camera monitoring system. Making the MeerCam construction video surveillance solution a 100% `cable free` construction site security monitoring solution. 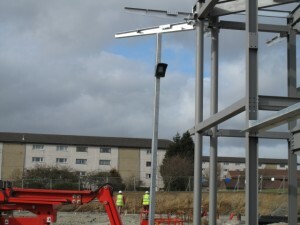 No wonder construction and building companies in England, Scotland Wales and N Ireland are renting or purchasing Camvista’s MeerCam self powered wireless GPRS infrared video security CCTV camera systems to replace their current expensive construction site security packages.